Winners can pick up their cases at the clubhouse during our regular business hours. Thanks so much to Fiocchi Ammunition for sponsoring the event! What a great turnout at our first shoot of the year, The March Thaw! Congratulations to Dan Gill who made the trip to Cedar Creek so he could break his 50,000th target! Rodger Becker and Cody Eshelman were the high guns on the Main with a pair of 91’s followed closely by Robert Crow and Steve Edmondson with a pair of 90’s. On the ladies side it was Grace Callahan with an 87, Amy Crow with a 75 followed by Andrea Seefelt Knight with a 73. On the Woods Course, Rodger Becker led the pack with a 95 followed by Steve Edmondson, Allen Pana and Greg Oliver with 93’s. Andrea Seefelt Knight led the Ladies with a 90. Grace Callahan brought in an 84 for second place and Amy Crow was a close third with an 82. Thanks to all who came it for a great day of shooting and hope to see you all at our next shoot, The April Fools Shoot on April 8th! Full scores and payouts are posted on iclays. Thank you for another amazing year full of successful days of practice and action-packed tournaments. 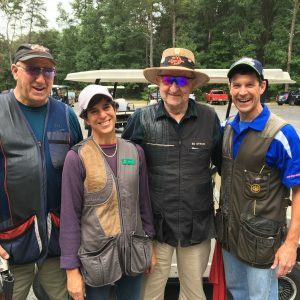 Cedar Creek Sporting Clays will be closing on December 31st due to bitter cold and intense wind chill. We will be closed for vacation from Monday, January 1st through Thursday, January 18th and will re-open Friday, January 19th. We look forward to seeing you in 2018 for our 25th anniversary year. Thank you to everyone who came out today despite the weatherman’s dire predictions. They were rewarded with clearing skies and warm temperatures, and a good time was had by all. Congratulations to Jared Rumer, Dalton Gallagher and Rodger Becker who topped the leaderboard on the Woods Course with 96’s. Heading up the Ladies Side, it was Andrea Seefeldt Knight and Grace Callahan with 82’s and Susan Meyen close behind with a 79. On the Doubles Course (Main) Dalton Gallagher and Ricky Fung-A-Fat led the pack with 95’s, edging out Jared Rumer’s 94. Grace Callahan took Ladies with a 90, followed by Andrea Seefeldt Knight with a 77, and Susan Meyen with a 71. Scores and Payouts are up on [url=http://www.iclays.com/scores/scores5924.html]iclays[/url]. We hope to see you at our last shoot of the year, The Pinelands Classic, on Sunday, December 17th. Sign up now on [url=https://www.iclays.com/cgi-bin/tournament_signup.cgi?tournament_id=5964&shooter_id=]iclays[/url] . 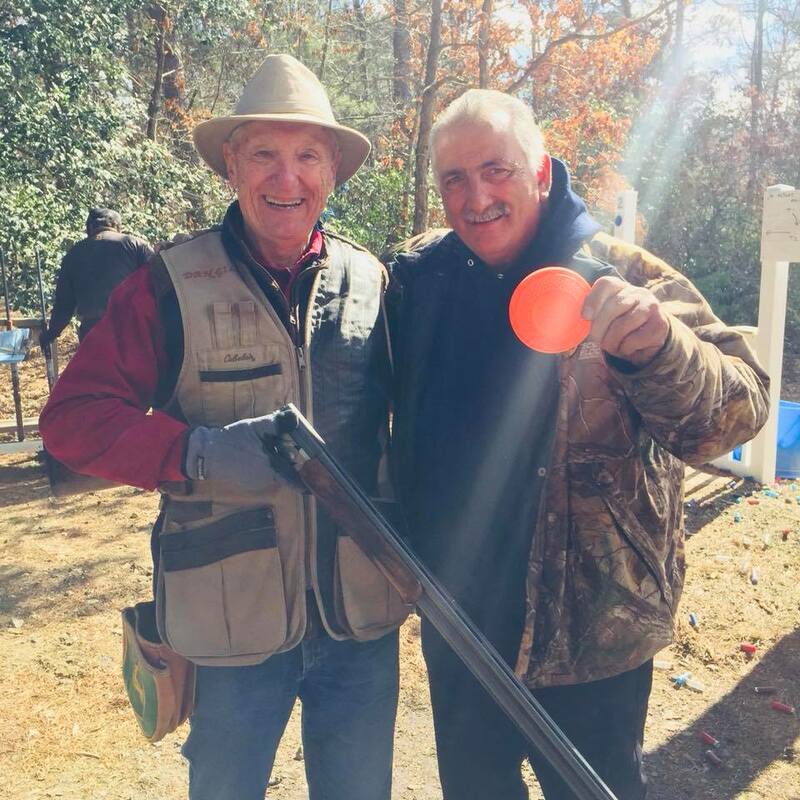 Thank you to all our shooters who made the 5th Annual 200 Bird FITASC & Sporting Clays Challenge such a success. Joe presented some challenging but shootable targets– a nice warm up for our friends shooting the PA State Shoot. Targets will be set by Joe Scull. Congratulations to Rodger Becker & Ling Sperl who tied as HOA for the Saturday FITASC. On SundayBecker and Shawn Kemeter went head to head with 91’s. On the ladies side, Grace Callahan won both days with an 82 Saturday and a 75 Sunday. 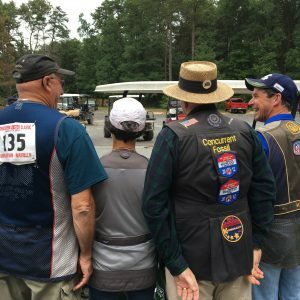 In Saturday Sporting Clays, Rodger Becker made a great showing with a 99/100 edging out Steve Edmondson and Mark Schreyer’s 98’s. Grace Callahan won Ladies with a 90. At Sunday’s Doubles Shoot Shawn Kemeter pulled out a 97 to win the day, and Grace Callahan took Lady 1 with a 94. Full scores and payouts are up on iclays.com. Good shooting All! Hope to see you at our next shoot, the 7th Annual Big Fall Blast– Sunday, September 10th. We’ll have 100 Doubles on the Main Course, 100 Sporting on the Woods and a 5 Bird FITASC. I’d sign up now if you want to get into the FITASC. Sign up here on iclays.com. An amazing turnout at our 10th Annual April Fools Shoot! Shooter came out in droves in the beautiful spring weather, and 28,200 targets were thrown today. Nothing better than breaking orange targets in blue skies! Bradley Powell led the pack on the Woods Course with a 98, followed by Steve Edmondson with a 97 and triple 96’s from Ed Jones, Steve Lundeen, and Ricky Fung-a Fat. Grace Callahan was our Ladies Champion with a 93. Targets on the Main Course were farther and faster. Jared Rumer took first with a 98, Bradley Powell second with a 94 and Rodger Becker & Grace Callahan tied for third with 93’s. Thank you to all the shooters who came out and shot with us today. Whether it’s your first time or your fortieth time at Cedar Creek, we appreciate your business. Full scores and payouts are up on iclays. Checks have been mailed. We hope to see you for May Mayhem on May 7th. You can sign up now on https://www.iclays.com/cgi-bin/tournament_signup.cgi?tournament_id=5066&shooter_id=iclays. Cedar Creek will be closed Wednesday, January 4-Friday, January 13. We will re-open Saturday, January 14. Thanks to your calls and emails, A.4179 and A.4180, the anti- gun bills sponsored by Assemblyman Ralph Caputo (D-28), were removed from Monday’s NJ Assembly Law & Public Safety Committee’s agenda. As written, these bills require target shooters to produce a state issued ID along with an FID card or a purchase permit before using a range. 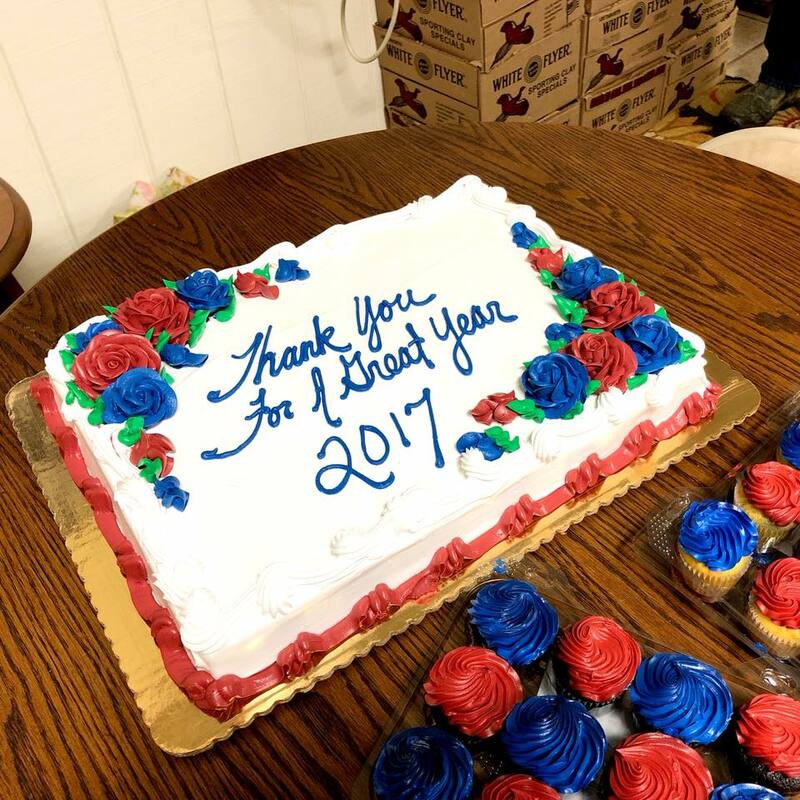 As a way of saying thank you for your support in this crucial matter and for your support throughout the year, Cedar Creek Sporting Clays will be offering a complimentary lunch to all shooters on Saturday, December 10th. Come on out, shoot some clays and enjoy a great day at the range! While A.4179 and A.4180 might have been removed from Monday’s agenda, these bills are by no means dead. Opposition from gun owners has resulted in the bills being held for further discussion. Again, thank you to our shooters who contacted committee members in opposition to these anti-gun bills. Your action made all the difference. Again, there will be no hearing on these bills Monday. 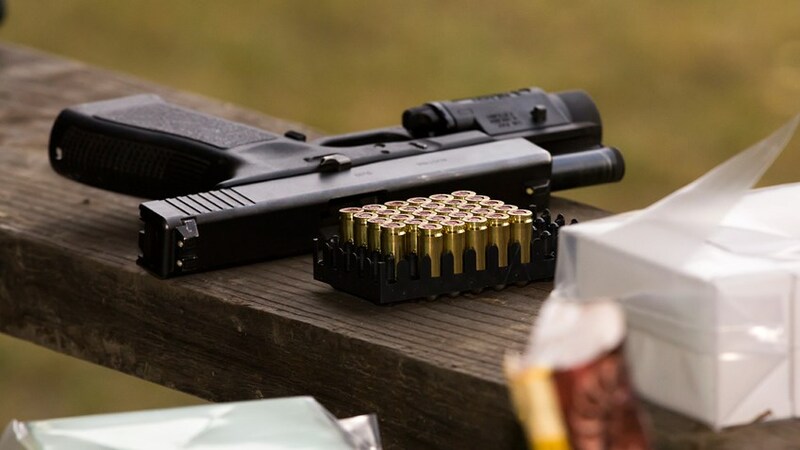 Shooting ranges as we know them may be a thing of the past if anti-gun politicians have their way in the Garden State. A pair of dangerous bills are scheduled to be heard in the Assembly Law & Public Safety Committee as early as Monday, December 5. A.4179 and A.4180, sponsored by Assemblyman Ralph Caputo (D-28), require target shooters to produce a state issued ID along with an FID card or a purchase permit before using a range. Even if you have a firearms id card, this affects you because you will have nowhere to shoot. New Jersey has been notorious for delaying issuance of those documents, and this bill would ban using ranges without such paperwork. In addition, the bills as written contain excessive “transfer” prohibitions where simply handing a gun between an instructor and a student would be a serious issue. Hunter safety courses, family days at the range, open houses and new shooter introduction events would all be jeopardized. Even law enforcement members would have a hard time using ranges to train or qualify.